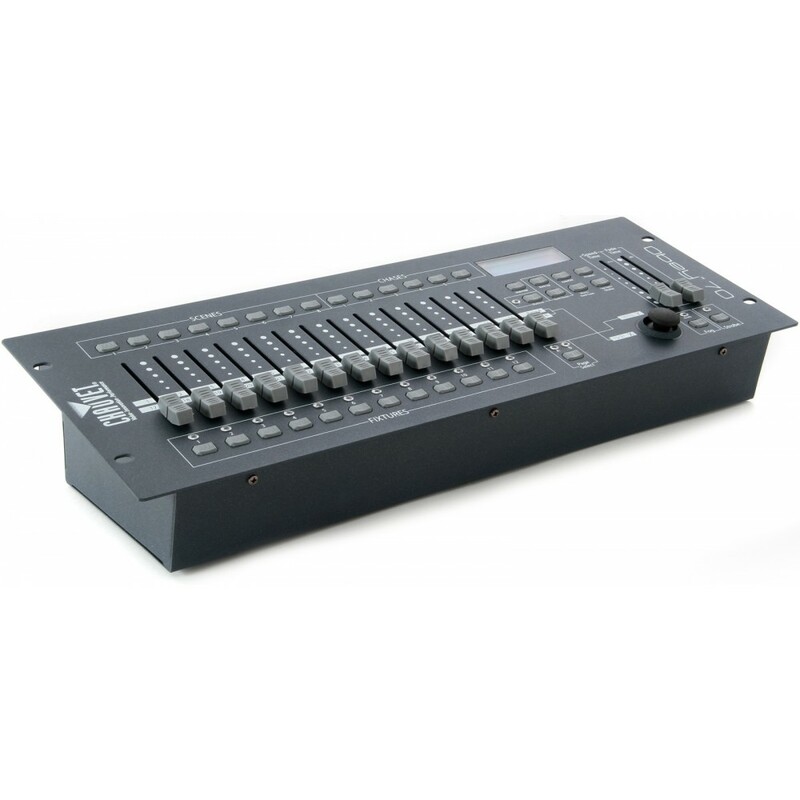 The Chauvet Obey 70 DMX Lighting Controller is the happy medium to a smaller rack mount control and a massive control desk! 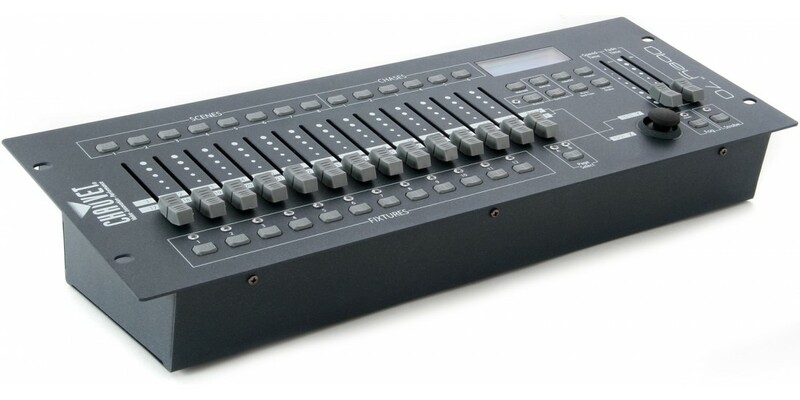 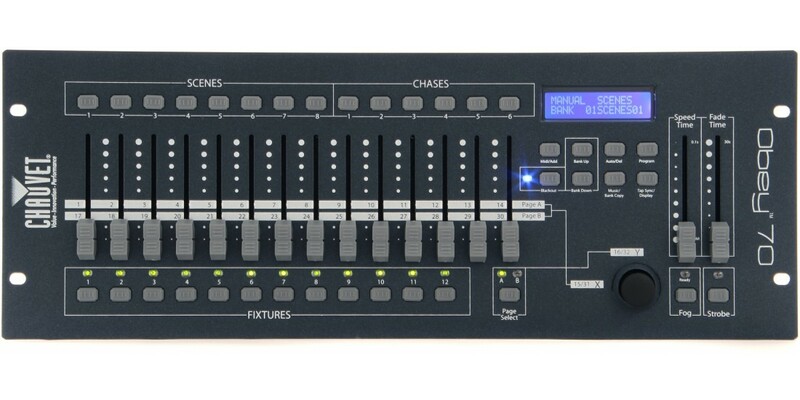 This compact, convenient control panel is more than enough to run a proper rig. 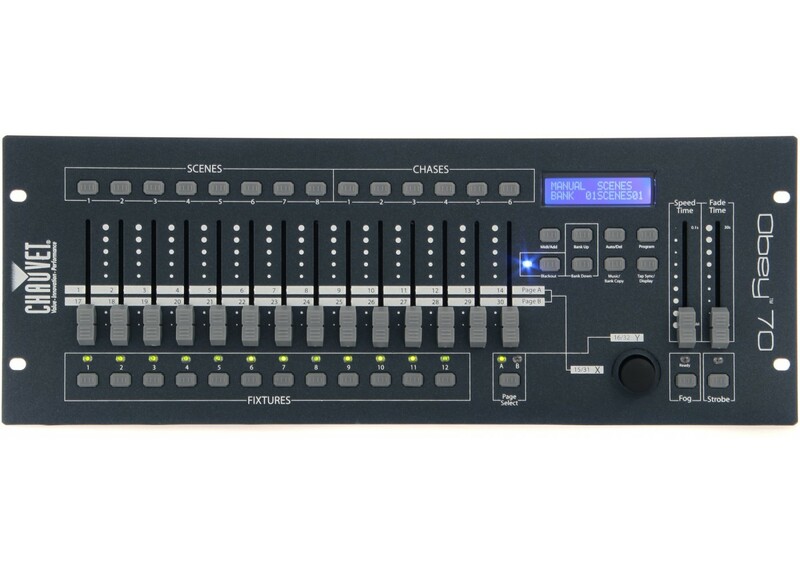 With 30 banks of 8 scenes, reversable sliders, re-assignable channels, fog and strobe control - just to name a few - the Chauvet Obey 70 DMX Lighting Controller is your ticket to controlling your rig!